 Book Your Adventure Online Today! Located in The Waikiki Beach Marriott Resort & Spa - 2552 Kalakaua Ave. Mid block on Ohua Ave. Near Starbucks Coffee. Creating underwater memories for over 30 years! 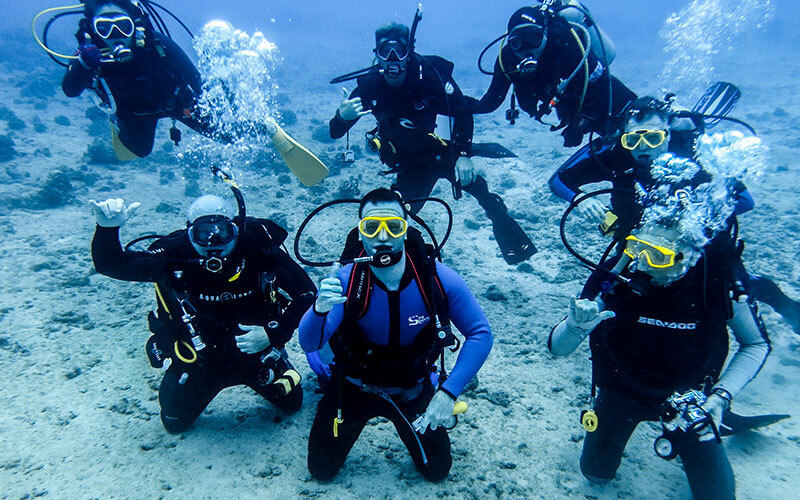 The Aqua Zone staff is a diverse bunch with a common thread: they all are passionate about scuba diving and have more than 90 years of combined skills and experience in the industry and know how to take care of customers. 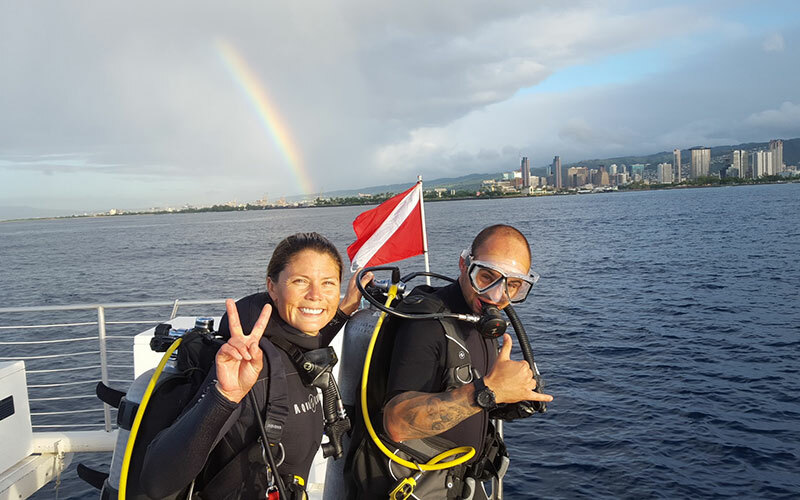 At Aqua Zone SCUBA, we have dives for beginners and experts alike for scuba diving on Honolulu. 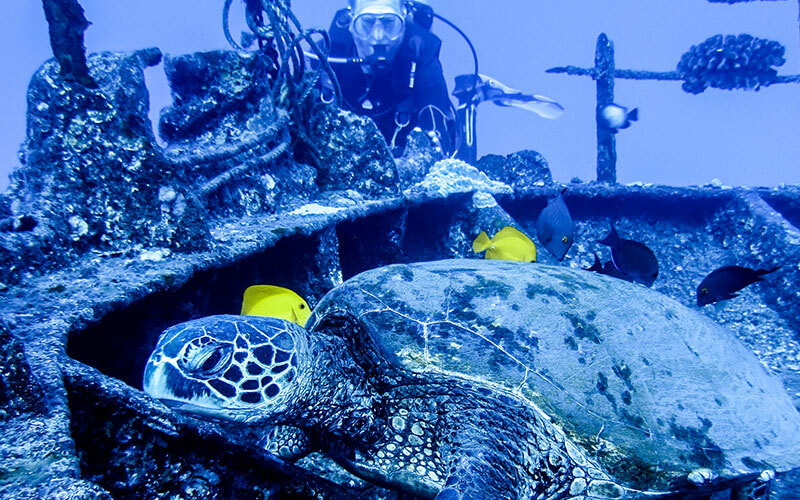 Those new to SCUBA diving love the Sea Turtle SCUBA Adventure, while the more experienced divers can’t miss our Wreck & Reef Dive! 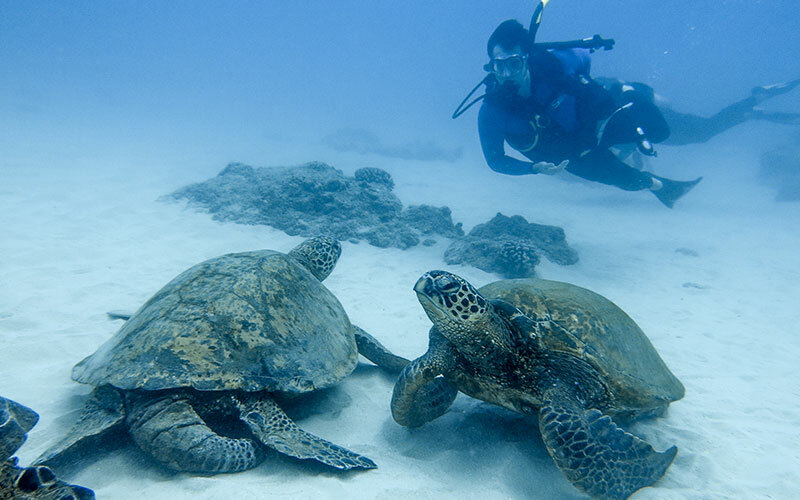 Experience the best scuba diving from Waikiki with us on a dive or scuba lesson! You won’t want to miss one of our amazing snorkeling adventures, which takes you to depths of 20+ feet! Immersed in the beautiful aquatic ecosystem, your whole family will love the excitement and adventure that awaits! 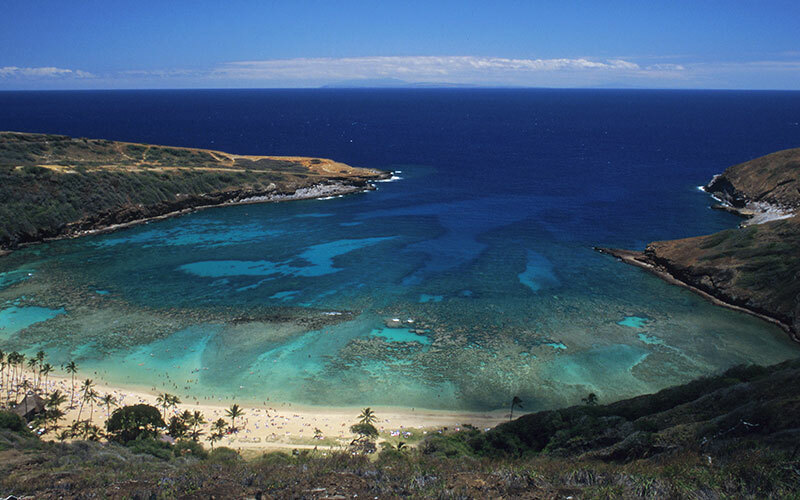 Or, explore on your own with a snorkel rental on Oahu from Aqua Zone SCUBA! From snorkeling gear to scuba diving equipment, scuba certification, and more, Aqua Zone SCUBA has you covered. Start your diving adventure here. ©2019 Aqua Zone. Do Not Copy.